Questioner: You spoke of Wanderers. Who are Wanderers? Where do they come from? Ra: Imagine, if you will, the sands of your shores. As countless as the grains of sand are the sources of intelligent infinity. When a social memory complex has achieved its complete understanding of its desire, it may conclude that its desire is service to others with the distortion towards reaching their hand, figuratively, to any entities who call for aid. These entities whom you may call the Brothers and Sisters of Sorrow move toward this calling of sorrow. These entities are from all reaches of the infinite creation and are bound together by the desire to serve in this distortion. Entities are from all reaches of infinite creation, bound together by desire to serve in Earth’s 3D. Ra: The number is approximate due to an heavy influx of those birthed at this time due to an intensive need to lighten the planetary vibration and thus aid in harvest. The number approaches sixty-five million. Questioner: Are most of these from the fourth density? Or what density do they come from? Ra: Few there are of fourth density. The largest number of Wanderers, as you call them, are of the sixth density. The desire to serve must be distorted towards a great deal of purity of mind and what you may call foolhardiness or bravery, depending upon your distortion complex judgment. The challenge/danger of the Wanderer is that it will forget its mission, become karmically involved, and thus be swept into the maelstrom of which it had incarnated to avert the destruction…. “You represent the renegade group of light, and you have agreed to come back on the planet. You are on assignment. You come into these physical bodies and take them over, and you intend, through the power of your spiritual identity, to change the physical body. You all selected with great care the genetic lines that would best give you head starts with all of this. Each of you chose a genetic history through which members of the Family of Light have threaded…. As members of the Family of Light, you have incarnated on this planet to prepare yourselves to do your work. What is your work? Your work is quite simple: you carry frequency into systems that have limited light frequency, because light is information. This is not cold, computer-data information; it is information that is transmitted biologically through an electromagnetic send-out of consciousness. This is what you are experts in. If you were to have a business card printed up for yourselves when you are in full memory of your identity, it would say something like: “Renegade Member of Family of Light. Systems Buster. Available for altering systems of consciousness within the free-will universe. On call.“…. You go for it! This is what you do. This is an aspect of your identity that you all have in common, and you are here in the millions at this time. You are here primarily to remember who you are, to operate multi- dimensionally within the system, and to teach humans-the natives in this place that have been under frequency control for a long time…. We speak to you as if you are not human because, to us, you are not. To us, you are members of the Family of Light, and we know your multidimensional selves. We speak to you about dealing with humans because it is your assignment to integrate with them, soothe them, and awaken a spark of light within them so that they are not all destroyed and so that this place can house a new species and a new realm of activity…. You have been hired and are on assignment from the future to catapult back into this cycle of existence to incarnate many times so that you can understand what has kept humans controlled. In this way, you can operate from the inside and change the system…. 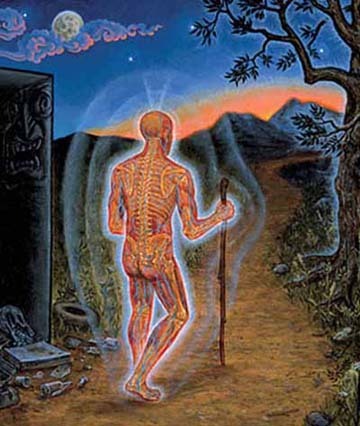 The topic of Wanderers or higher dimensional-beings who haveincarnated for the purpose of assisting humanity is somewhat popular in the New Age movement. There are plenty of people these days who claim to be “Star Seeds”or “Light Workers” from planet this or that. However, some of them seem to use this identification to enhance their ego and self-importance, over-estimating their level of Being and Awareness, appearing “special” and “mysterious”, clouded in a very fluff talk of Love and Light. Especially nowadays, where it is hip to be “spiritual”, many self-proclaimed lightworkers dress accordingly and give themselves fancy spiritual names which are supposed to reflect their higher state of awareness, claiming to be awake. It’s easy to identify oneself with such an idea but does one’s life truly reflect that? Does one truly KNOW what it means to be a lightworker or Wanderer and the work it entails? Or is it just another label used for appearance’s sake and to make oneself feel better? There are many distortions and people tend to project their own filtered view into it. As with everything these days truth is mixed with lies. Personally I don’t dismiss the idea of higher density souls coming back in time with a specific mission to fulfill. However, I also take it with a grain of salt at the same time. Reflecting on my life, I can see that I could fit the profile of a Wanderer and learning about it has given much clarity and understanding of myself and what I felt deep inside all along. However I don’t see myself as being special or better since I have to learn my lessons as everyone else in this 3D human experience. Throughout my whole life I felt different and was very much a loner in high school, not being able to fit in, dealing with a high sensitive nature and a deep emotional life which was confusing to say the least. Obviously many children feel this way growing up in our pathological world and is by no means an indication that one is automatically a Wanderer. My parents did their best in raising me according to their knowledge. I didn’t have a bad childhood or was abused by any means. I just felt I wasn’t from here and even as a young kid in my pre-teens I used to look at the stars at night thinking and longing “Take me home…Why am I here?…Why am I so alone?”. However, I never truly made the connection that I was maybe a Wanderer, nor was I conscious of this idea. It was just natural for me for me to stare at the night sky asking these questions and it had a soothing affect on me. Scott Mandelker who has published several books on the Ra material and Buddhism came up with a questionnaire (similar to determining personality types) which can help to find out if one is potentially a Wanderer. Obviously there is no true scientific way to prove one way or another. I think Mendelker’s quiz is over-simplified, short and vague and missing some important points which can also lead to misinterpretations. Deeper introspection and understanding of what being a Wanderer entails is certainly needed. I would not go by this questionnaire alone and proclaim “I’m a Wanderer” even if I can answer most questions with a yes. It’s easy to read into things and “bend the truth” in order to fit it for oneself. As Laura mentioned earlier, what is it you truly DO about it? I started questioning the world as we know it more consciously when I went to the University of Munich studying business in 1991, a choice I made due to social pressure, being confused, not knowing myself and just doing what everyone else did: getting a degree, so I can have a secure job and make a living. I was depressed and felt just like I did in High School, doing things that I didn’t like to do but thought I had to do in order to “fit in”. I kept thinking there must be more to life than this! Well, as the saying goes, ask and you shall receive and I was asking sincerely from the depth of my being. The call was answered when a good friend I met around that time asked me to try out playing drums for his band. My life changed completely. Music has always been my ally in my life. Listening to it helped me to deal with my complex emotional life. But I was so conditioned and lost that I never thought to make music myself. I was in awe when I saw bands playing live and especially intrigued when watching the drummer. My low self-esteem didn’t even make that connection that I could be doing this myself since I thought I had to study and be a good student in order to get a degree in something more practical and secure to fit into society and also please my parents. Playing drums connected me to something deeper within me and for the first time in my life I truly knew what I wanted to do. I was so infused with inspiration and sudden self-confidence that I dropped out of university, saved up money and moved to Los Angeles to study drums and percussion at the Musicians Institute. At that time I realized there must be even more to life and more to who I am, that there is purpose to my life, that there was something I’m here to do. A lot of things came up for me and it was not always a happy time. Dealing with depression, childhood programming, social conditioning and this seemingly never-ending feeling of loneliness, unable to connect with people on a deeper level, I started to look for answers, trying to figure myself out as I was going through the “dark night of the soul” with suicidal thoughts and even drug abuse (which didn’t last long, since it interfered with my passion for playing drums. Music literally saved my life).My search and asking fueled by intense internal suffering lead me to the works of Carl Gustav Jung, J. Krihshnamurti, Alan Watts, Joseph Campbell and other spiritual/psychology/philosophy literature as well as Astrology, which helped me in the process of seeking answers to deeper life questions and understanding myself better. 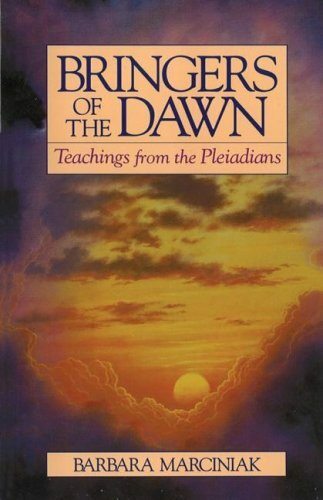 Another big shift in my life started when I first read “Bringers of the Dawn” (BOTD) by Barbara Marciniak in the late 90’s. No other book has had such a deep impact on me. It was almost like an instruction manual I’ve read before, awakening something within me that was always there. It was more a recognition than learning something new. It resonated with me deeply. Readers of my blogs know that I don’t take the idea of “resonating” lightly since I believe that there is such a thing as “false resonating”. While there is validity to the idea of “resonating” with a certain teaching or source, it can easily be misapplied if the “reading instrument”, the Self, is not “tuned” correctly. Some fundamentalist Christians also “resonate” with the Bible in literal terms, believing the earth is only 5000 years old. “Feel good” messages are no proof of truth and can also be very emotional manipulative. Disinformation is always lies mixed with truth. Enough truth to use as a bait to get the seeker’s attention and then put him/her on a false lead so to speak, keeping him asleep while he believes to awaken. In order to find the true resonance one needs to separate the false self (with its assumptions, conditioning, expectations, wishful thinking, buffers, emotional hooks and ego desires) from the true self which is grounded in Knowledge, connected to the small voice inside that can always separate a lie from truth, using intuition and critical thinking alike, even if the truth is not very “pleasant” and challenging to one’s world view. In other words, honest self-work is needed in order to resonate with truth. Within and without. Marciniak’s book started my quest for truth on a whole new level, confirming my feeling that there is something else happening on our planet besides what we have been taught and told by official culture. For many people the information in BOTD is too far out or laughable, however that also makes sense as I’ll explain later on. It was not only the idea of higher density souls coming “back in time” incarnating in human form (Renegades, Family of Light) with a mission profile to assist humanity during this time of transformation which I resonated with, but also the more disturbing topic of hyperdimensional control and that humans are not on top of the food chain, nor in control of themselves, but have been manipulated genetically and controlled by “Aliens” (hyperdimensional 4D STS forces). Her work led me to the Ra material, as well as the Cassiopaean Experiment and the work of Laura Knight-Jadczyk who wrote in depth about the Theological Drama with hyperdimensional forces working through humanity, incorporating a vast array of esoteric teachings, channeled material (Ra, Marciniak’s Pleiadians) and research into ancient history, connecting the dots scientifically, esoterically, historically and mystically. Her personal story and discoveries are written about in “The Wave” and “The Secret History of the World”. According to the Ra material and Cassiopaean transmissions humans have been of STO (Service to Others) orientation before the “Fall”. Both sources talk about the “Fall” from this state happening about 300,000 years ago when 4th density STS (Service to Self) entities (called the Orion group (Ra) or Lizzies/Reptilians (Cassiopaea, Pleiadians) ) “raided” this planet, took over control (from a hyperdimensional point of view as in frequency/consciousness control) and humans became STS (development of ego, false personality, worship of physicality, cut off from the higher centers). We’re now at the end of a big cycle where mind/body/spirit complexes (Ra) of 3rd density (humans) have the opportunity to “graduate” or “evolve” to 4th density STO orientation (The “harvest” according to Ra). However, this is a choice. According to both sources as well as various ancient esoteric teachings, conscious self-work and effort are required to move on to the next level so to speak, activating the higher centers by gaining knowledge, engaging in sincere self-work and being of service. Planet earth as it is now is of STS orientation. 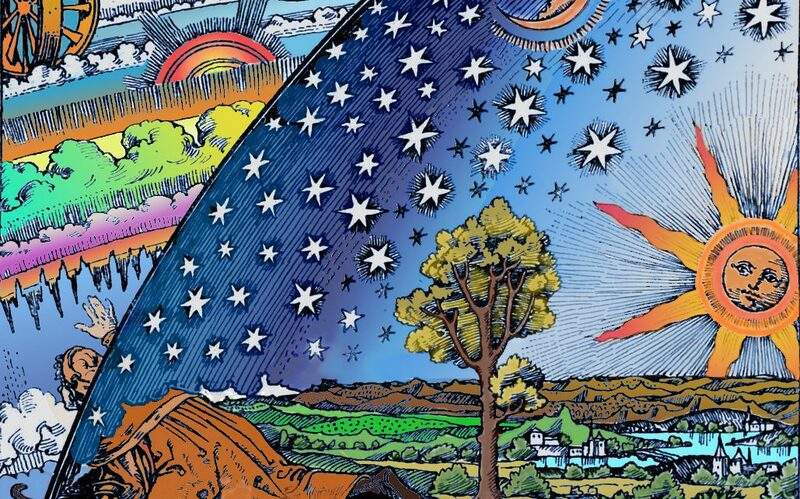 We all are STS and cannot be otherwise, however one can become a STO candidate and polarize oneself to that vibration/frequency through esoteric work. 4th density STS entities try their best to manipulate our “free will” through frequency and genetic control which has been going on since “the fall”, keeping us in a lower form of consciousness as they feed off those lower vibrations. It’s simply food for them and sustains/nourishes them, like plant and animals (2nd density) serve us for food. 3rd density feeds off 2nd density and 4th density feeds off 3rd density. Humans are not at the end of the food chain. As above, so below. The UFO phenomenon relates to this and is for the most part a manifestation of the hyperdimensional matrix control system as examined in more depth in the documentary “UFOs, Aliens, and the Question of Contact” I made with Humberto Braga. Now is a window of opportunity to break free from this control and evolve to a higher level of existence. Not everyone will “graduate”. It’s everyone’s own choice/calling and doesn’t depend on anything or anyone “out there”. No one can do it for another, but one must do the self-work in order to activate the higher centers, raising one’s level of Being and Awareness above a certain minimum. This is also not something that happens over night or on a specific date (like the much popularized end of the Mayan Calendar 12/21/2012) but is related to the shift of ages spanning over a many years and we are already in the midst of it. There is a choice to be made very shortly, and it would be preferable if all of the people of this planet understand the choice that is to be made. It will be difficult for many of the people of this planet to understand what this choice is, because it is a choice that they have not considered. They have been much too involved in their daily activities and their confusion and their desires of a very trivial nature to be concerned with an understanding of the choice that they are very shortly to make. Whether they wish to or not, whether they understand it or not, regardless of any influence, each and every one of the people who dwell upon planet Earth will shortly make a choice. There will be no middle area. There will be those who choose to follow the path of love and light (knowledge) and those who choose otherwise. This choice will not be made by saying, “I choose the path of love and light,”or “l do not choose it.” The verbal choice will mean nothing. This choice will be measured by the individual’s demonstration of his choice. This choice is measured by what we term the vibratory rate of the individual. It is necessary, if an individual is to join those who make the choice of love and understanding, for his rate of vibration to be above a certain minimal level. At the time at which each of you incarnated, my friends, each of you was aware that certain lessons, hitherto unlearned, were to be the goals for achievement in this incarnation. If it seems to you that your entire incarnation within this illusion has been a series of difficulties of one particular type, then you are almost certainly aware in some manner of one of your lessons. As you can see, these lessons are not to be avoided. They are to be learned. Going back to the topic of Wanderers and renegades who have incarnated in this time and age with a specific mission relating to the shift we’re in, there is also this insightful writing by Marshall Vian Summers about the deeper meaning of purpose, our “ancient home” and how it is intrinsically connected to gaining Knowledge. Purpose is not a definition or an end in itself, but a journey to be discovered as we work on ourselves and separate truth from lies within and without. This process is different for each as everyone has different lessons to learn and talents to develop. PURPOSE IS SOMETHING YOU WILL UNDERSTAND as you climb higher on the mountain of life. As you gain a greater vantage point, you will understand more of the journey itself, by looking behind and by being increasingly able to anticipate what is up ahead. Purpose is realized by taking the journey, not by establishing a favorable or fascinating explanation or a definition for oneself. Purpose is not a justification. It does not compensate for anything. Purpose is something that is waiting for you to discover. You can only discover it by taking the journey, by following the way, by learning as you go and by gaining the greater perspective and understanding that one acquires as one matures in The Way of Knowledge. As we have said before, you have come from someplace and you will return to that place. You have come bearing gifts for the world. Your greater purpose is embodied in this idea. Because of your origin and your destiny, you have something greater to give to the world, something that the world cannot give to you. Your gift is hidden within you like a secret cargo, but you cannot gain access to it until you have advanced. Then it will begin to emerge, slowly and incrementally, all on its own. Your calling in life is very specific. It involves engaging with certain people for specific reasons at certain junctures of your life. The greater purpose that you share with everyone is to keep Knowledge alive in the world and to bring something from your Ancient Home into the world. This is a definition that you can abide with because it will not limit you and it will not deceive you, but go no further in your definitions. Allow the manifestation of your purpose to take place naturally, as it will if you follow in The Way of Knowledge. Your purpose now is to prepare to gain a greater understanding of the world, the world’s evolution and the world’s destiny. Within this larger context you will gain a new vantage point for understanding your role in the world and your reason for coming here. You are here in the world for very specific reasons. They are not your personal reasons. You are here to contribute to and participate in a greater order of reality that exists within the world and beyond the world and even beyond the physical manifestation of life. With greater awareness comes a greater ability. This all comes from Knowledge. Here you are asked to follow, to respond and to learn the great lessons in discernment, discretion, communication and affinity. These lessons are inherent in the preparation itself. From the first step to the last, you will be learning these things, and life will be your laboratory. Purpose is a process; it is not a definition. It is not a validation. It is not a form of self- comfort. It is something that awaits you. It is a great journey. It is a door that is open to you now, a door that you can pass through. It is a journey where you do not lead yourself alone, but instead become a part of the greater education that exists throughout the universe. The Creator is at work everywhere, reclaiming the separated through Knowledge. This is the Creator’s purpose. Your purpose is to give what you are designed to give, according to your nature and your true abilities. In this, your life becomes fulfilled because everything you have done can now serve a greater purpose. It is not wandering around blindly, speculating and having big ideas. Instead, it is engaging in a process of development that has been provided for you by your Creator and by your Spiritual Family to initiate you in this life into the greater calling and purpose for which you have come. Only through this discovery will your life be fully justified and fully realized. Here you will enter a greater range of relationship and understanding which will make you a person of incredible value in the world. Their awareness of the mystery of life will grow more and more profound, and their ability in life—in their relationships, in their career, in all their activities—will deepen. This is purpose. At some point, they will give themselves to something that involves other people in service to the world in one capacity or another according to their nature and their design. It will be natural for them to give themselves in this way, as it would be unnatural for them to decline it. This is purpose. This is the time that you are here, and this is the condition of the world and the evolution of the world at this time. Though your specific calling may seem to have little to do with the Greater Community, you are serving the world in its emergence into the Greater Community. You are fostering goodness, Wisdom and the reality of Knowledge in the world through your own demonstration. This is your purpose. Let’s summarize what we can see so far from these quoted sources. The Ps (Pleiadians) tell us that wanderers/renegades are “committed to designing events that would fire [their] codings, or blueprints that would activate their memories.” In other words, the friction and struggle many people (who could be Wanderers) perceive can be used as catalysts to help them awaken and remember what they came here to do. The lessons are not to be avoided, but are to be learned. The obstacle that is in the way of a Wanderer to awaken is that he/she becomes karmically involved and conditioned/programmed through upbringing and society, steering him/her off the path. In order to activate the higher centers, connecting them to their higher selves and giving them access to their “blueprints”, sincere self work is necessary to cut through the lies and conditioning of the false personality, which everyone has to one degree or another. “Due to the extreme variance between the vibratory distortions of third density and those of the more dense densities, if you will, Wanderers have as a general rule some form of handicap, difficulty, or feeling of alienation which is severe. The most common of these difficulties are alienation, the reaction against the planetary vibration by personality disorders, as you would call them, and body complex ailments indicating difficulty in adjustment to the planetary vibrations such as allergies, as you would call them”. Many people who resonate with being a Wanderer do so because of the most common of these difficulties, alienation, that is severe (and I can certainly relate to that), which is probably due to the difficulty of dealing with 3D vibratory patterns that are not necessary or usual in home vibration (6D). These difficulties are crucial and can be approached in two ways for better or worse. One can use them as an excuse to not deal with 3D life because one feels “too spiritual” or “too good” to do so or claiming to have “transcended” anything that may require too much work to confront, be it within oneself or in the world. 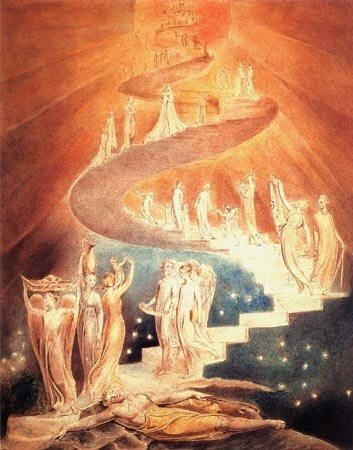 I have heard many times from people (Wanderers or not) that they are “too spiritual” for politics or speaking out against injustices in the world (and ultimately the 4D STS control system) because they have “transcended” it all and just want to live in the Light (misunderstanding that Light actually means Knowledge). But as Marianne Williamson said, addressing that at a talk at “Lightning in a Bottle”: “There is a difference between transcendence and denial“. Others even use their “spiritual highness” as an excuse to not pay their bills, get a source of income or just managing ordinary daily affairs and reject anything that is part of life in our current 3D reality. They tend to manipulate, leech (and essentially feed) off others, which can keep them in 3D STS frequency with the potential of getting “stuck” there, not graduating (or not going back “home”) and having to repeat the 3rd density cycle. “If Wanderer demonstrated through action a negative orientation towards others it would be caught into the planetary vibration and, when harvested, possibly repeat master cycle of 3D as a planetary entity”. “This is another area where there are some misunderstandings in the spiritual life. Many seekers believe that their inability to function in the real world is like a badge of merit — a proof of their great spirituality. Physical ailments, loss of function, inability to manage ordinary daily affairs, and so on and on are all excused because the person is so “spiritual” that they cannot be expected to be bothered with such things. The healthier approach, which will actually help Wanderers to truly remember what they came here to do and act on it, is to confront these difficulties, learn the lessons and use the friction and shocks to create the fire within, transmuting lead into gold, building the magnetic center within, which connects them to their higher self, the real “I” and the hidden knowledge within them. This is where esoteric works come in. Wanderers actually have a better disposition to engage in this work but “this is not more than a bias and cannot be called an understanding“ as Ra said (more on that later). So regardless of Wanderers being “higher evolved” or old souls, they’re on the same playing field as everyone else on 3D earth and must do the work to access their knowledge. The only “help” they have is that they may get triggered in some way and the right book appears at the right time for example or synchronicities and coincidences may lead them to the information or life situation they need to come across and experience in order to be awakened. But they need to do the work themselves with discernment, separating truth from lies within and without. The friction and limitations of 3rd density actually serve as a catalyst for faster learning, growth and polarization. What seems clear is that Wanderers didn’t just choose to be of assistance with their coded mission and potentially teach/heal but also to learn the lessons they need to learn for their own evolution and polarization. Asking can come in different ways and it not necessarily verbal, however, not every asking is sincere, so knowledge, discernment and awareness are required to truly distinguish between STS and STO, especially within ourselves as we all have STS tendencies, mistaking them for STO (remember that STS is the default polarity for this current 3rd density we are ALL subjected to). Are we giving to another without expectation and to truly help the other person? What part in them are we supporting? Sometimes NOT giving is actually STO in order not to support the STS feeding dynamics. Are we being externally considerate? Or are we considering internally and are trying to make ourselves feel better by “being of service” or for the sake of image/appearance/status, inflating our self-importance? For example, if people donate money to various causes, what is their true underlying drive? As an STO candidate one cannot interfere with the learning process of another, but only assist with advice, mirrors and suggestions if it is asked for. One can also spread “seeds of awareness”, share information and show the “door” if appropriate but people will have to walk through it themselves. Each situation is different and specific. No one can do the work for another, nor can anyone “save” another. As Morpheus told Neo in “The Matrix”: “Unfortunately no one can be told what the matrix is, you have to see it for yourself.” . “Ra tells us about “wanderers,” or higher dimensional-beings who have incarnated for the purpose of assisting humanity without violating free will. This “service to others” is described as a “dispassionate attempt to share information without concern for numbers or growth among others.” The attempt to make the information available is the service. There are no shortcuts to enlightenment. It cannot be taught. It cannot be achieved with rituals or formulas. The only thing that can be shared is information, stories of inspiration, love and mystery, and experiences that may spark another person to reach out and begin seeking on their own…. All of this also relates to the topic of Organic Portals (OPs), the possibility that half of humanity does not have an individual soul and has no ability to access the higher centers, which would enable them to engage in esoteric work in order to graduate. There is nothing wrong with them, it is just part of the evolutionary process. However, one must be aware not to project one’s own soul potential into OPs who can serve as portals through which 4D STS forces can work through in order to keep souled individuals from advancing (esoterically speaking), just like agent Smith in “The Matrix” was able to insert himself into humans (programs) trying to keep Neo from awakening. The reader is encouraged to read “Organic Portals – Soulless Humans” to get a better understanding of that important topic. Especially Wanderers need to be conscious and aware of the traps, deceptions and distractions in 3rd density which may interfere with their mission since most people are NOT like them, but have a different inner wiring so to speak. Ra mentions that “the Wanderer is less inclined to the deviousness of third density and therefore does not recognize as easily as a more negative individual would, the negative nature of thoughts or beings“. “Ra tells us that wanderers are vulnerable because they become completely the creature of third density in mind and body, and are, by nature, less inclined to deviousness and manipulation. For this reason, they often do not recognize as easily the negative nature of other beings or thoughts before they become involved with them. Then, very often, because of this very lack of perception of negativity, they often persist in relationships that are negative because they repeatedly attribute to the other person their own benevolent motives and perceptions. Ra also confirmed Don’s remark that those with missions, Wanderers, are “high priority targets” of the Orion STS faction. That’s a scary thought! What it means is that if a person comes into incarnation from a higher density with a mission to serve, not only are they enveloped in the “veil of forgetting”, they become special targets for a bunch of Intergalactic rapists and murderers who are only restrained in their actions by some sort of vague Law of Free Will which still allows every imaginable trick and deception to be perpetrated on them so that they will engage in relationships, beliefs, actions or reactions designed to “bring them down a few densities,” so to speak! And they only get a “bias” toward what is Truth, and not a clear understanding! So with all of this information we are trying to put together about what is out there just waiting to trap and deceive us, how in the world are we supposed to have a clue as to what is going on? Just who are the Good Guys here?! Ra seems to be saying that only the “Wanderers” have any hope of being in contact with the higher level “Good Guys” because they are, ipso facto, already of STO configuration and therefore, contact is not an infringement upon their free will as it would be if the STO contact came to a third density being who has not yet graduated to the higher densities. If we just stop and think for a moment about the nature of most people on the planet who do not want to search or learn; they do not want to think or do the necessary work that prepares a “vessel” for the inflow of higher knowledge; they want to be “saved” with as little effort as possible, then you begin to understand the odds against contact with truly higher density STO beings. That is the operation of the Law of Free Will. The majority of beings of third density are STS — they would not be in this density otherwise. 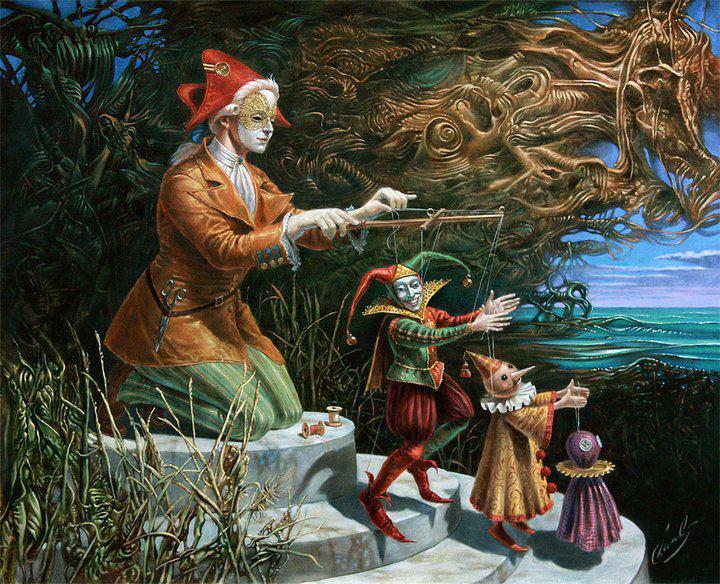 By this choice, they have also chosen the illusions that are part of this “con job”. Yes, at a very deep level, it is a choice to experience in order to learn, but let’s not get ahead of ourselves here. By the very fact that this is the choice of the majority, the few who might truly wish to perceive the truth are overruled by the mass choice according to the law of Free Will! Even if the being is a fourth or sixth density “Wanderer”, by entering this density, they have chosen to “play by the rules” and cannot abridge them! So, just by thinking about this very simple Law of Free Will and its implications, we come to an understanding that the likelihood of the many “sources” of information that purport to have “serendipitously” contacted this or that channel who was just humming along one day and — ZAP! — along came Swami Whosits or Koot Hoot or Lord Sandyando or whoever, are very likely victims of the deception — possibly even Wanderers being “neutralized” by STS forces, or simply those who are “agents” of the STS forces, including those programmed a la Greenbaum. 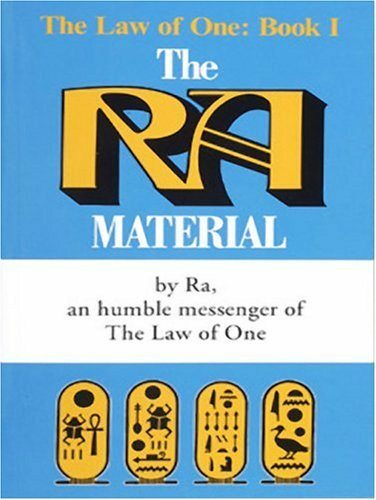 Ra did give us a figure: 65 million Wanderers on the planet at the time he was speaking. That amounts to about one person out of every hundred on the planet. But how many of them survive the attacks? How many of them actually do, can, or will wake up? Particularly when we must expect them to be objects of special “attention” in terms of “attack”? “Wanderers do have “Close Encounters” with Orion STS, though it is rare. [Such] occurs either due to the Orion entities’ lack of perception of the depth of positivity to be encountered or due to the Orion entities’ desire to, shall we say, attempt to remove this positivity from this plane of existence. …A mistaken Orion STS contact with highly polarized positive entities can wreak havoc with Orion troops unless [they] are able to depolarize the entity mistakenly contacted. Q: (L) Reading through the session of May 23, last year, when TK was also here, and the issue of his living in isolation from the rest of the world was addressed, you asked who had begged him to stay there even though he wanted to move to a place where he could have more contact with other people and more opportunities for growth and stimulation. The answer to this question was that it was his wife who insisted on remaining even though it was clear that he was unhappy in the environment. Then you made a remark about an EM [Electromagnetic] vector. The way I understood it is that you were saying that a person can be an EM vector. Is that possible? Q: (L) So his wife is the one who controls the focus of his direction. But how? Could that mean that a human being can vector EM waves simply by their presence and that these EM waves are part of the control system that manipulates people? Can it be that such “agents” are used as EM vectors in the sense that they emanate a special frequency that literally affects the mind in terms of shutting down clarity, or even actually transmitting pre-coded thought loops? Q: (L) Were the individuals in our lives selected for the extremely subtle nature of their abilities to evoke pity, or were we programmed to respond to pity so that we were blind to something that was obvious to other people? A: Yes. You are dealing with a no-win situation!! As you know. Q: (L) Is it true that being in the presence of such people, that one is under the influence of an energy, an emanation from them physically, that befuddles the mind and makes it almost impossible to think one’s way out of the situation? Q: (L) Where does this energy drain? Q: (L) These people we are associated with drain our energy from us and fourth density STS harvests it from them? When you are under attack, expect the unexpected, if it is going to cause problems… But, if you expect it, you learn how to “head it off,” thus neutralizing it. This is called vigilance, which is rooted in knowledge. And, what does knowledge do? Q: (L) Protects! I guess that a person just has to come to the full realization that virtually everything that happens on the planet — no exceptions — is a symbol of some interaction of STS vs. STO energy at higher levels. A: Yes, and for most, that is not as of yet realized. It must be part of a natural learning process. Q: (L) Well, I guess that all of us tend to keep one or another area sacrosanct and think that it is not subject to attack, or that we can use logic and third density thinking to explain it. Until a person realizes that attack can come through even one’s self, wives and husbands, children and parents, friends — virtually anybody — nobody is exempt. A: The block is a lack of faith in the concept. Remember, when one has been indoctrinated by religion, culture and/or science, they are predisposed to view all things in the sense of the measurable physical reality exclusively. One must be cured of lack of faith in the reality of nonphysical attack. One major thing we see from the above is that our associations can be crucial. Of course, if we are aware that anyone and everyone can be used as an “EM vector” to modulate our frequency or behavior or thinking, then we have some protection. But to be unaware of it, to be in close association with those who are unaware themselves, and therefore subject to this manipulation, is to be firmly “in the trap”. But suppose one person in a relationship begins to “wake up”, and becomes aware (even if only vaguely), that all is not as it seems. They will have continual glimpses of the reality, mostly when not in the presence of the other individual. They may clearly see that something is not working, that it is not right, and may even make decisions to change it or to leave. But the instant the other person is physically present with their EM vectoring capabilities, the glimpses of truth are “damped” or even shut down and the waking person begins to feel schizophrenic or crazy in some way for having such conflicting and opposing thoughts. Add to this the social and religious enculturation to “turn the other cheek” or “suffer because it’s noble and holy,” and you have the recipe for cooking the Wanderer’s goose! Another of the factors in the control system is the “self-destruct” program. Obviously the aliens have no problem abducting and killing and eating many people who are still lost in the initial choice for STS/third density. But there are the special cases of the Wanderers who, obviously, the STS invaders don’t want to tangle with at that level, as described above by Ra, so they have a rather clever way around this little stumbling block to their machinations: the suicide game. This is a very cunning setup, I can tell you! It can follow a variety of lines in the lives of different people, and it seems that the STS Orions take some sort of fiendish delight in designing variations for their entertainment pleasure, but the gist of it is this: a Wanderer is born. Obviously they have to be born somewhere, to some family, with certain genetics. It is also equally obvious that the choices probably don’t include having Wanderers for parents or siblings, (though there are exceptions). There they are, innocent little babies, volunteers for a great mission, surrounded by potential EM vectors and Lizzie agents! And the game begins! Abuse — physical, sexual, and psychological — comes into play to “set them up” for a later fall — if in fact they are not just simply killed by same right at the beginning. But the special characteristic of the Wanderer type is that they continue to “shine” with a sort of “inner purity” of the questing spirit even in the face of such treatment. As a result of this abuse, they can be attached by any number of “dead dudes” or elementals or even demonic-type entities that enter in through wounds in the psychological/psychic shield like cosmic bacteria. The usual next stage in this drama is to cause the Wanderer to be attracted to a particular type of person who is a sort of “false image” of STO. This can be what researcher Eve Lorgen calls a Love Bite relationship where a great “cosmic love” is simulated, only to fall flat as soon as the EM vector is turned off. The intended result of this betrayal is to induce suicidal feelings or to set the Wanderer up for the next variation of the game. What happens now is that the Wanderer is set up by the previous dramas to seek out marriage or love partners who are also abusive either overtly or covertly. And, of course, the Wanderer’s special characteristics of being unable to really understand negative thinking because it is not a part of their own make-up, prevents them from seeing exactly what is going on. They always seem to attribute the same high motives and ideals to others that are in themselves. They endlessly excuse abuse and hurt to themselves and others with the idea that if they just love the other long enough, hard enough, pure enough or stand by them through thick and thin, that the abuser will overcome their hurts/wounds which are the cause of their abusive behavior, and they will then be able to be whole, which, of course, the Wanderer believes to be a person similar to themselves! Gee, sounds like the Way of the Monk, doesn’t it? Perhaps that “way” was created just to trap such positive individuals and to use them as energy food for STS. Then there is the constant projection of the suicide program by the many EM vectors that the Wanderer finds in their environment. It takes careful observation to determine who these individuals may be, but it can be done! 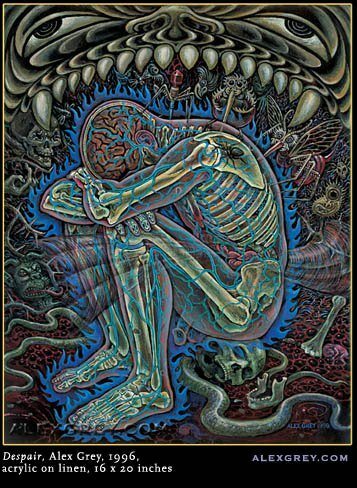 The natural feelings of being lost and alone and alienated from this environment are intensified and twisted so that the Wanderer begins to focus solely upon the idea of getting out from under this enormous psychic pressure. Spirit attachments can also be used in this respect, attacking the Wanderer from the “inside”, so to speak. Q: (L) [You have mentioned attack.] Is this physical danger or just harassment danger? A: Yes. Knowledge input on a continuous basis. A: All and other. Networking of information now, warning!!! All others will very soon experience great increase of same type of attack, two of you have had episodes in past from same source for similar reasons, but now your association puts you in different category!! Remember all channels and those of similar make-up are identified, tracked, and “dealt with”. Suicidal thoughts? Q: (T) So, we have the knowledge and that’s all we need to do to prevent the attacks from being nasty? A: You do not have all the awareness you need! Not by any means! Remember, all there is is lessons. Daily prayer helps. Through it all, the Wanderer never whines or complains that others are “doing it to” them; they always tend, first of all, to seek in themselves the cause of the events or the treatment they receive. They react with the idea that somehow they are not giving enough or in the right way, though they are entirely naive about what “giving” really is because, as mentioned, they have been brainwashed by the erroneous ideals of the third density STS environment which are manipulations to induce service to an illusion. For many of your centuries, both the [STO group] and the [STS group] busied themselves with each other upon planes above your own, shall we say, planes in time/space whereby machinations were conceived and the armor of light girded. Battles have been and are continuing to be fought upon these levels. …Picture [your mind] in total unity with all other minds of your society. You are then single-minded and that which is a weak electrical charge in your physical illusion is now an enormously powerful machine whereby thoughts may be projected as things. …In this endeavor the [STS group] charges or attacks the [STO group] armed with light. The result, a standoff, as you would call it, both energies being somewhat depleted by this and needing to regroup; the negative depleted through failure to manipulate, the positive depleted through failure to accept that which is given. …[To explain “failure to accept that which is given”]: At the level of time/space which this takes place in the form of what you may call thought-war, the most accepting and loving energy would be to so love those who wished to manipulate that those entities were surrounded and engulfed, transformed by positive energies. …This, however, being a battle of equals, the [STO group] is aware that it cannot, on equal footing, allow itself to be manipulated in order to remain purely positive, for then though pure it would not be of any consequence, having been placed by the so-called powers of darkness under the heel, as you may say. It is thus that those who deal with this thought war must be defensive rather than accepting in order to preserve their usefulness in service to others. Thusly, they cannot accept fully what the [STS group] wishes to give, that being enslavement. …The only consequence which has been helpful is a balancing of the energies available to this planet so that these energies have less necessity to be balanced in this time/space, thus lessening the chances of planetary annihilation. So we see here a guiding principle of balance. For those who believe that it is Love to “accept enslavement” — which is to respond to manipulation and thereby serve the STS faction, it becomes clear that to do so is to neutralize their effectiveness as an STO candidate because they are then no longer “purely positive”! By accepting the manipulations, they become part of the other side! We can see now that being a Wanderer is not a walk in the park, nor a “free ride” on this planetary experience. It doesn’t matter what knowledge they have brought with them. It takes tremendous work, vigilance and discernment to bring it forth and act on it, being aware of attacks from the “other team”. This entails much conscious struggle and suffering, especially at the beginning, as the Wanderer is activating his/her higher centers linking him/her to his/her higher self more consciously, so they start to remember and align themselves with their life’s purpose. This purpose is not a definition and task one realizes over night. It’s a process and since the future is open with different potential outcomes, the tasks based on the wanderer’s inherent gifts will reveal themselves more specifically according to specific situations and the choices they make. Their direction is not planned aforetimes. This also depends on the Wanderer’s conscious self-work to learn the lessons he/she needs to learn in order to be truly of service. This implies not only remembering themselves but also gaining Knowledge on a continuous basis. “Purpose is realized by taking the journey, not by establishing a favorable or fascinating explanation or a definition for oneself. Purpose is not a justification. It does not compensate for anything. Purpose is something that is waiting for you to discover. You can only discover it by taking the journey, by following the way, by learning as you go and by gaining the greater perspective and understanding that one acquires as one matures in The Way of Knowledge. I can relate to this in my own life. As mentioned before, I came to the Los Angeles to study drums and percussion and play in bands. It was the beginning of my journey towards self-discovery. I was following my bliss, as Joseph Campbell would say. Back then I thought that was my purpose, what I really wanted to do. Nothing else mattered. I played drums 4-6 hours a day, rehearsed with my band and put my heart and soul into it. All I wanted to do was make music, tour and make a living as a musician. However, I was still suffering and struggling internally. A lot of things came up during that time for me which I was forced to look at, otherwise I would have not survived as my depression and despair put me on the edge of insanity. At the same time new friends and and situations came into my life which introduced me to the healing arts, in particular yoga, qi gong, and bodywork as well as shamanism and medicine plants, which also helped me in my inner process. Interestingly I wasn’t seeking these things out fully conscious. It just happened in the flow of life as I was seeking answers and trying to heal and understand myself. Something else was guiding me. During that time I also discovered another talent: bodywork. My roommate back then, who was a yoga teacher and bodyworker, introduced me to it, worked on me and started to teach me some basic massage techniques. He became my mentor. Having had tremendous breakthroughs and healing moments physically and emotionally through receiving bodywork, I experienced first hand the healing power of it. I began to do bodywork on friends and seemed to have a healing touch for it based on the feedback I received. People came to me asking me to work on them on a regular basis, yet I didn’t think of doing it professionally back then. My focus was still on music and drumming. I started to write during my time with my band Revolve in early 2000. We gave out writings at our shows to spread awareness, but eventually my drive to seek truth and knowledge overshadowed the musical aspect of my life and it seemed very natural when the band broke up. Writing helped me to learn and clarify the new information I was taking in. Many insights came along with it. I was inspired and wanted to share all this amazing hidden Knowledge about our reality and what was happening on our planet. Looking back I can see how this at times was not externally considerate and I was trying to give without being asked. I can also see how I was gullible and not discerning about some of the information I came across back then. I was drinking the New Age cool-aid at one point, driven by wishful thinking, emotional hooks and was not very discerning. However, it complicated my life even more. Thankfully the universe didn’t give me what I “wanted”, but what I “needed” at that time to snap me out it. When my band Revolve broke up after inspiring years of musical creativity, recording and touring, I enrolled in Massage School to pursue bodywork, the new talent I had discovered. It seemed the universe literally pushed me to do it and I was answering the call. I have been working as a professional bodyworker ever since. It was a complete shift in my life path and it seemed that certain triggers lead me to it without my “conscious” choice. Looking back at my life, connecting the dots, I feel like what the late Apple founder Steve Jobs said. When discovering your bliss, sometimes you just gotta do things because you are drawn to them for reasons you canʼt fully understand in the moment and only in retrospect can you connect the dots in your life and see how it all works together. For example, I know now that without my years as a drummer, using music and drumming for healing and emotional exploration (even if I wasn’t fully aware of that back then), and without my suffering and crisis, I wouldn’t be the bodyworker and healer Iʼm today nor write about the things I’m writing now. However, I never “planned” to become a bodyworker or writer. I know now that I had to confront my dark side, programming and conditioning and heal myself, however painful it was, in order to become my real Self (and there is always more work to do). As Carl Jung said: “There is no coming to consciousness without pain.” It’s the mythological journey of Chiron, the Wounded Healer, who in his search for his own cure discovered how to heal others. The lesson of Chiron teaches us is that we can overcome pain and transcend into knowledge. I also had many assisting forces, seen and unseen, spirit guides and non-physical STO forces that guided me along when I was able and willing to “listen”. There were many friends, mentors and teachers that came in and out of my life who helped me along the way, assisting me on my path or giving me just the right book to read. And of course, in light of the Knowledge I have now, I can also see how STS forces and the Matrix Control System have tried to steer me off my path (sometimes disguised as “angels”, “friends” or romantic relationships) working through people (and my own “predator-mind”) with temptations and distractions, getting at my weak spots. However, I felt very strongly throughout my life that I came here with a specific purpose that is beyond what I “think” I want to do at times and this purpose seems to crystallize itself and becomes clearer as I learn my lessons, “get myself out of the way” and remember more of who I truly am. There is still much more to learn and to remember. My intent for sharing my personal story throughout this article is also for you to reflect back on your own life and see how you “got here”, so you can understand your past and your life choices better, when you have been truly acting in alignment with your higher self or self-sabotaging because of conditioned/programmed patterns and beliefs. That way we can understand our present better and create our future more consciously. What worked for me may not work for another. We all have our own story, individual lessons to learn, karma to work out and talents to develop. “Each Wanderer has unique abilities, biases, specialties so that from each portion of each Density represented among Wanderers come array of pre-incarnative talents which may be expressed so that each Wanderer, in offering itself before incarnation, has some special service to offer in addition to the doubling effect of planetary love/light [vibrations adding to the planet just as electrical polarity or charging a battery] and basic function of serving as beacon or shepher…. “The moment of true initiation. It seems that, as the great masters teach us, it is not a moment of “great enlightenment.” It is not someone who comes to “show us reality.” It is not a “seeing all the world as a oneness.” It is seeing the self as a liar and a feeder on others. It is measuring the self with TRUTH. It is seeing that the predator has been feeding on the self, that the self has been feeding on others and propagating the infection on to all those who one claims to love and wish to help. Initiation is not a glorious inpouring of life and love and tears for the beauty and oneness of the world. Indeed, one sees that there is “oneness,” but one sees that the aspect of God that is experienced at this level is the black, sucking, feeding maw of STS (Service to Self). One sees how little true Love is actually manifested at this level of being. One sees that all of our illusions about “goodness” and truth and beauty are LIES. They are masks for more feeding. And that is so horrifying an initiation that few survive. As I was diving deeper into Esoteric Science coming across Gurdjieff’s 4th Way Teachings as well as Boris Mouravieff’s “Gnosis”, it all seemed to confirm in many ways what I’ve encountered throughout my life in the process of awakening and in relation to my inner state and to outer circumstances, people and the world at large, from “moral bankruptcy”, the death of the “personality”, to struggle with forces trying to keep me from advancing/waking up, to seeing the light and forming the “magnetic center”. All of which is still a process and much work is still to be done. We are all works in progress in our own ways. As mentioned before, every once in a while a book or teaching presents itself, which acts like a “guide”, appearing sat just the right moment in time, helping and showing me that I’m “on track”, describing things I’ve been through and hinting at where it is all leading to and what one must do or not do in order to awaken. “In the history of humanity there are known many examples when entire civilizations have perished because knowledge outweighed being or being outweighed knowledge. “What are the results of the development of the line of knowledge without being, or the development of the line of being without knowledge?” someone asked during a talk upon this subject. “The development of the line of knowledge without the line of being gives a weak yogi,” said G., “that is to say, a man who knows a great deal but can do nothing, a man who does not understand” (he emphasized these words) “what he knows, a man without appreciation, that is, a man for whom there is no difference between one kind of knowledge and another. And the development of the line of being without knowledge gives a stupid saint, that is, a man who can do a great deal but who does not know what to do or with what object; and if he does anything he acts in obedience to his subjective feelings which may lead him greatly astray and cause him to commit grave mistakes, that is, actually to do the opposite of what he wants. In either case both the weak yogi and the stupid saint are brought to a standstill. Neither the one nor the other can develop further. Knowledge is one thing, understanding is another thing. People often confuse these concepts and do not clearly grasp what is the difference between them. Knowledge by itself does not give understanding. Nor is understanding increased by an increase of knowledge alone. Understanding depends upon the relation of knowledge to being. Understanding is the resultant of knowledge and being. And knowledge and being must not diverge too far, otherwise understanding will prove to be far removed from either. At the same time the relation of knowledge to being does not change with a mere growth of knowledge. It changes only when being grows simultaneously with knowledge. In other words, understanding grows only with the growth of being. , lost in the wilderness of everyday life. Discernment between those two is vital for the wanderer, esoteric student and seeker, separating truth from lies. As long as one has not established the purity of the magnetic center through deep self-work and conscious suffering one just acts in STS, putting the false personality’s (ego’s) subjective will on to the world which only fuels entropy and feeding dynamics, strengthening the STS polarity while lying to oneself about one’s state of being and awareness. In that sense much New Age material is just like fundamental Religion. It works on blind belief, wishful thinking, not Knowledge and Truth. And so many seekers are developing a false magnetic center, a false foundation, “who are themselves duped or who dupe others, and who have no direct or indirect link with the esoteric Centre.” That’s also how wanderers can be duped and being vectored away from the mission they came to accomplish. Furthermore, the one’s promoting just to focus on “love and light” (without understanding the true meaning of these words) and ignoring the “bad/negative” the loudest are the ones most heavily duped, more duped than the average sleeping man, because the former actually thinks he has awakened and can “see” now…….little does he know that he’s going in circles vectored by ‘A’ influences and staying in the “wilderness”, dreaming to be awake. On that note, there is nothing “wrong” with desires of the ego/personality and just creating reality based on unquestioned desires of the “I”, nothing “wrong” with shutting off anything “bad” and “unpleasant” and keep living in a subjective tunnel vision and wishful thinking based on Service to Self (STS). Enjoy! It’s a free will universe. Everyone can do as they want to, be it you, me, Bush, Obama or anyone else. However, what needs to be kept in mind is that this approach has nothing to do with conscious spiritual evolution or the “path of ascension”. It is the reason why the world and its people are on a course to self-destruction. It’s not a spiral upward but a spiral downward that grinds itself into an abyss. Humanity has evolved technologically, but not spiritually/consciously really at all and man is still mostly driven by his lower centers and mechanical personality. Life on Earth as we know it, this 3rd density experience is based on STS, Service to Self. STO, Service to Others, is something man can aspire to through conscious evolution. During this Time of Transformation the choice to be made is really between STO and STS and truly understanding what that means, differentiating between A and B influences, separating lies from truth, inside oneself and outside in the world. This is the age of awakening but also the age of deceit and deception, not only through the obvious political circus, but through corrupted spiritual teachings as well, be it dogmatic religion or New Age hype. It’s like taking the red or blue pill (as in the film “The Matrix”), truth or illusion, waking up or staying asleep. There is no “right” or “wrong” choice. There is only choice, as it is, respecting free will. However, most people do not even know that there is a choice to be made in this time of transition and are in the dark about what is happening on this planet, manipulated through hyperdimensional STS forces working through themselves, government, religion, official culture, corrupted new age teachings, channeled material, etc… . Interestingly, one can also see how the mystery teachings were also describing a “Hyperdimensional Control System”, the “General Law” in esoteric terms, acting on man, keeping him in line with mechanical unconscious behavior to be “Food for the Moon”. In order to escape the Matrix/General Law man needs to align oneself with “The Law of Exception”, engaging in esoteric work with conscious effort. There is a threshold to be crossed, a void, which puts the seeker on The Way. The process and necessity of moral bankruptcy ,which initiates the seeker into “The Way” of esoteric work, is described in more detail in Boris Mouravieff’s “Gnosis”. This also relates to the idea of wanderers and their initiation/awakening process. Man was compared to a cell of organic life on Earth. Because he belongs to this organism, man is subject to the General Law, and it is only when he has escaped it that he is elevated to the Law of Exception. Not knowing himself, but a slave to the outside world, fully asleep, dreaming to be awake under the control of the General Law/Matrix, the common man has no free will, although he thinks he does. However, whenever someone awakens, steps up and tries to “escape” the General Law/Matrix by speaking up and seeking truth, forces are put on to him to put him back in line, back to sleep. They will be ridiculed or even silenced (Gandhi, MLK, John Lennon and many other truth seekers most people haven’t even heard about), depending on their impact. Anything that is not a threat to the MCS (Matrix Control System) or General Law will be ignored or even promoted heavily, be it dogmatic religion, politics, entertainment or new age fluff which works in favor of the PTB (powers that be). speak of it more than once, especially where esoteric work is concerned. contempt they openly show him. mistake the false for the true. Submerged in unreality, instead of advancing, man marks time; one step forward and two steps backwards; two steps forward and one step backwards, and so on. same old way, so that the power we know as the Devil still triumphs. Whatever name we give it, it remains ever-present. 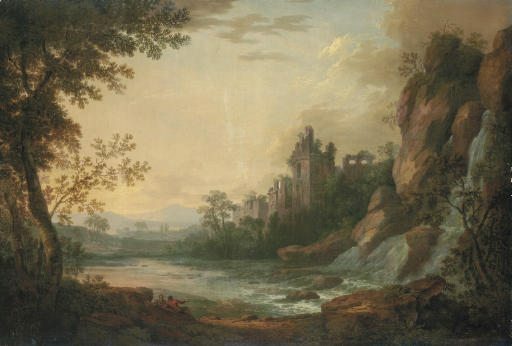 Marveling, and seized by a passionate desire to reach the castle, he forgets the dangers and fatigue to which he has been exposed. – ‘How do I get there?’ He asks himself. defended by two towers. Two closed doors give access to them. – ‘A good sign,’ he hears within himself. of glacial wind almost throws him off again. Clinging to the ground, he climbs up to the wall forming the fourth step, and finds shelter there. His resistance to the storm, instead of exhausting him, redoubles his strength. Now he climbs the fourth step with little difficulty, although it is as high as the preceding ones. – ‘Your answer is correct’, replies the Guardian. open doors; behind them, dark mists. In front of the high threshold there is a young girl… a pretty Russian girl. with it from the depths of the building the sound of a slow and muffled voice. – ‘You who aspire to cross this threshold, do you know what awaits you here? – ‘I know,’ answers the young girl. – ‘I have no use for recognition and pity. I have no use for a name.’ – ‘Are you ready for crime?’ The young girl bowed her head. The young girl crossed the threshold. Looking back at my life I can certainly relate to this and maybe others who are in the same process of seeking truth and starting esoteric self-work can see this in their lives and associations as well. Literally all the friends I thought I had showed dis-contempt toward the things I was getting into and was talking about, be it through ridicule or making fun of me or even attacking me for daring to question their beliefs. As I was coming to terms with my own predator, programming and mechanical behaviors I saw it even more in others. I saw the feeding and the lies people were telling themselves. Not only that, but I realized that I have been feeding on others myself and they were feeding off me. It seemed something else was in control of humanity and working through us. I was living a lie based on my false “I”, dreaming to be awake. I also realized that all the talk and notions about love and happiness were buffers and illusion people tell themselves for self-calming and had nothing to do with real love. I mistook many things for love myself. During my “dark night of the soul” and “moral bankruptcy” I had intense periods of deep despair and depression, sometimes not being able to get out of bed, but lying in fetal position and crying a lot. As I mentioned before I was even contemplating suicide a lot back then. It was emotionally and physically intense as if something within me was dying. Later on as I gained more knowledge about the process I was going through esoterically and psychologically, I realized that my depression was actually a stepping stone towards becoming my true self. Kazimierz Dabrowski is a Polish psychiatrist and psychologist who developed the Theory of Positive Disintegration (TPD). The Theory of Positive Disintegration is a novel approach to personality development and relates to “depression as a stepping stone”. What is very interesting about this model is how it is similar in ways to certain esoteric teachings, such as Gurdjeff’s Fourth Way, Mouravieff’s Gnosis or Shamanism as transmitted through Don Juan Matus. It sees crisis such as depression or maladjustment to social norms as important stepping stones and potential for personality development. Contrary to mainstream psychology, which tries to adjust the individual to society and its norms (sometimes through anti-depressants or any other mood-influencing pharmaceuticals), the Theory of Positive Disintegration sees it as a “good” sign if one is getting maladjusted to society, seeing it as potential for higher integration and values (non ego-centric). Certain generic New Age teachings also merely avoid the aspect of positive Disintegration through denial and a distorted understanding of negative emotions (such as just focus on the “positive”, avoid anything “negative”, meditate on “peace”, etc….). The levels of development as defined by Dabrowski can be compared to the staircase of esoteric evolution and the moral bankruptcy man experiences when his old conditioned self conflicts with the emerging individuality. Like Gurdjieff, Dabrowski saw the “average” man as mechanical robot-like beings (Level I) who simply exist on lower impulses as dictated by society and “official culture”, living in a reactionary state of external stimuli and influences. No true individuality can be formed on that level. Certain people who experience so-called overexcitability (OE) (“Supersensitivities” in terms of Psychomotor, Sensual, Emotional, Intellectual, and Imaginational) have the potential to grow out of the lower levels and integrate their being into the higher ones. However, just as explained in the aforementioned esoteric teachings, Darbrowski also points out that this process requires conscious work and it doesn’t happen by itself. In other words, if one does not use the “shocks” to further one’s evolution and does “the work” to gain self-awareness, one will stay at the lower level where most of humanity exists, mechanically and reactionary, feeding one’s little “I’s” based on conditioning and programming. In light if what we’ve explored so far, one can see how OE (especially in children) could also be an indication that one may be a wanderer. I certainly can relate to Darbowski’s TPD and see how it applies to my upbringing and personality development. Initially, people who are acting on low impulses or who are simply robotically emulating society have little self conflict. Most conflicts are external. During development, the clash between one’s actual behavior and environment and one’s imagined ideals creates a great deal of internal conflict. This conflict literally motivates the individual to resolve the situation, ideally by inhibiting those aspects he or she considers lower and by accentuating those aspects he or she considers higher. At the highest levels, there is a new harmony of thought, emotion and action that eliminates internal conflict. The individual is behaving in accord with their own personality ideal and consciously derived value structure and therefore feels no internal conflict. Often a person’s external focus shifts to ‘making the world a better place. It is part of a necessary process and even today there are times of depression (although not as intense anymore) as I keep working on myself and peel off the layers of my false “I”. The work never stops, it just becomes more refined and deeper. At the same time the moments of true love as a state of being and consciousness increase (not dependent on anything or anyone outside myself) as opposed to an chemical emotional experience. I feel more and more aligned with my real “I”, making the personality/ego a vessel/instrument for the higher self to work through and not letting the ego be in the driver’s seat. Just as noted in the quote above, there happens a shift at one point away from pre-occupation with oneself towards “making the world a better place.”, not acting on mechanical self-absorbed lower impulses but conscious actions based on the higher centers. This can also be related to a shift from STS towards STO activating the Wanderer’s mission profile to be of service and assistance. However, I still slip into the mechanicalness of my little “I’s” if I’m not watchful and make the effort to stay conscious. Despite society’s view that there is something wrong with you if you are depressed and selling you anti-depressants, it is actually a GOOD thing. The soul and true self is screaming for attention. As J. Krishnamurti said: “It is no measure of health to be well adjusted to a profoundly sick society.” One shouldn’t avoid it or numb it with medication, drugs or “feel good” pop-psychology but go with it and trust that it is actually a natural process that can be used as a catalyst for growth and esoteric development. These were trying times since I realized I had no authentic friends, because I hadn’t been authentic myself. I tried to wake up my friends and family, but this just created more conflict and attacks. I still hadn’t learned the basic lesson of esoteric work and what STO truly means: Don’t give without being asked and be externally considerate. Free will needs to be respected, even if it is people’s free will to stay ignorant and asleep. No one can be forced to wake up. However, as I started to wake up and engaged in the work, letting go of my associations and friends, new people and help came along, just as Mouravieff wrote, fellow seekers who saw what I saw and who were struggling with the same things. The importance of networking with like-minded and collinear people was imperative, because alone a man can do nothing. There were not many, but it is about quality over quantity. During that time I also spent much time alone, not engaging in relationships or drawn to exterior life at all. I didn’t enjoy the things I used to enjoy. Everything seemed so shallow, empty and fake. I knew I had to disengage from certain associations and be conscious about who and what I gave my energy to, so I didn’t slip back into the “wilderness” where the Matrix/General Law is trying to keep man to be food for our hyperdimensional overlords. “When man goes in search of the Way, it generally signifies that something within him has collapsed. Apart from exceptional cases, this collapse is preceded by a re-assessment of moral values, which in the searcher’s eyes lose the value he had previously given to them. “Interior collapse leads to certain consequences. Man starts to see things in a different light. Two diametrically opposed effects can result. If man is sufficiently strong and impartial, he will not lower his eyes before implacable reality. He will have the courage to face things directly, and to accept the constatations which are imposed on him, no matter how disagreeable they are. This signifies that he has firmly started on the track which leads to the path of Access to the Way. On the other hand, if the man is weak, this experience will weaken him even more. The law is explicit: ‘To whosoever hath, to him shall be given. But whosoever hath not, from him shall be taken away even that which he hath.’ If man does not accept his situation and, in particular, his inner state as it appears to him, thanks to brief illuminations from the consciousness of the real ‘I’— if he is obstinate against all evidence, justifying his Personality by protecting himself behind logic, legitimacy and justice, he will then turn his back on the path of Access, and thrust himself further into the wilderness. Let’s examine the part “If he who lives in the wilderness — and is satisfied to be there, were to approve of the attitude of one who walks on the track, it would be equivalent to recognizing his own bankruptcy“ a bit closer in relation to today’s’ world and events. One can easily refer this to people who keep denying that 9/11 was an inside Job or that UFO’s are and have been visiting this planet for ages and human beings are being farmed for “food”. The common man lives in the wilderness of the General Law/Matrix and has a very conditioned/limited view of reality. If he’d approve the truth of 9/11, the hyperdimensional manipulation of humanity or that Psychopaths with no conscience are ruling the world, it would produce an immense internal and psychological discomfort forcing him into moral bankruptcy as his long held beliefs would be shattered and he would have to face himself, confronting the illusionary existence he’s been living since birth based on lies. The common man has much invested in his illusion, psychologically and materialistically, his image, career, rank and status, and he will protect it against whoever threatens it, defending the prison he is in. But when you’re inside, you look around, what do you see? Businessmen, teachers, lawyers, carpenters. You can feel it when you go to work… when you go to church… when you pay your taxes. We can see now how esoteric work with all its struggle, suffering and attacks relate to the awakening process and initiation of the Wanderer. Super efforts are needed to truly wake up and accomplish one’s mission, whatever it turns out to be. There is also nothing “special” being a wanderer. The opposite, it takes great humility, awareness and responsibility combined with sincere self-work, gaining knowledge and learning the lessons to walk the talk and be truly of service. We live in intense times. A lot of things are happening on our planet. Technology has advanced exponentially, yet human consciousness has not evolved at the same rate. We are in the midst of a major transformation, the shift of the ages, which many prophecies and mystery teachings have talked about. It won’t be over by 12/21/2012. Far from it. This work is also open for any souled humans, not just Wanderers. Many are called, yet few choose to answer the call. Wanderers are not any better than “humans”. We all are multidimensional beings who have access to the deeper knowledge within us. We are them in the future. They may just have come back in “time” (since time doesn’t really exist but is a 3D concept, which doesn’t apply on higher densities) for assistance, but not to do the work for us. There is a spiritual war happening with forces at work most people are not even aware of. 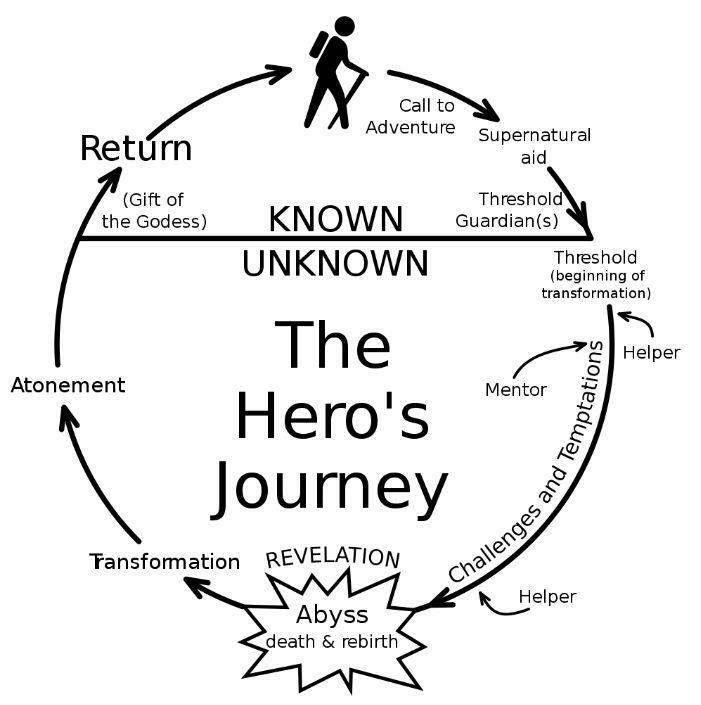 Understanding the Theological Drama behind STO/STS dynamics and the how the matrix control system works through ourselves is crucial for the awakening process of the wanderer and any sincere truth seeker. It takes much work and effort to anchor TRUE Love and Light, freeing ourselves from this current STS frequency. Just as individuals who have soul potential are called to engage in sincere self-work, making the darkness conscious and understanding what it truly means to BE the change we want to see, so the world needs to go through a collective “moral bankruptcy” and “dark night of the soul” before any true shift of consciousness can occur. We are in the muck and mire of the Kali Yuga. These are difficult times but also exciting times. There is love, help and support out there and good things are and can happen, but it all depends on us. The shift into 4D, the ascension and transformation into the STO vibration of Love in Light in the deepest meaning it these words is an opportunity, a choice – not a guarantee – for the ones answering the call. The struggle, for the most part, is with oneself. very interesting article, The video helped me understand a bit more then I would have without it! Thanks for the post, I love your blog! Strikes me all the info about Indigo kids, etc. (Lee Carroll’s books) fit in with the Wanderer role. Thank you for compiling this information, it’s helping with my own understanding of the current situation. It’s quite long, and I admit I can’t now remember everything. I also identify myself as being a Wanderer, however I’m more familiar with the term Starseed. I’m also skeptical about the possibility that even this could be a false idea planted as another “system of control” as Neo in the Matrix would say. Perhaps similarly, I also deplore the use of people saying “love and light” in place of “good bye” as it seems to miss represent its significance, in the same way Che Guevera’s image has become a popular cultural icon completely devoid of what he actually fought for. There’s an awful lot I don’t know, but I wish to provide some experiential evidence regarding some of the things covered in your article. Several years ago I became activated/awakened through reading Ekhart Tolle’s teachings on presence & ego and then subsequently something many refer to as Kundalini awakening. This has unlocked extra senses such as the ability to feel electrical fields and see activity beyond the normal human frequency range as well as attracting attention from non-physical entities. If I read a particularly emotionally moving piece of news, lets say the Chemical strike in Syria or responding to the expression on the face of a frightened child held at gun point by an American soldier in Iraq… it invokes compassion inside of me. In the past I was totally ignorant to the suffering of others around the world, Media never truly shows what’s going on and I was very much in the mind-set of fear and denial.. as long as it doesn’t happen here I don’t care. In total contrast to what once was, love and heart-felt compassion expresses itself as an electromagnetic pulse/wave from my heart/chest region extending outwards a bit like a mini EMP, and is strong enough to visibly move and manipulate my body/arm hairs. Other times it feels like a quick vibrational/oscillation around my upper body. According to what I’ve read by Delores Cannon this is intended to counter or transmute negative energy. Unfortunately for me it requires a trigger, and I still don’t know how to do it at will. In the same month I saw a ghost/spirit I attempted to get in contact with spirit guides after my ego/interest was peaked and I realised that much lives beyond our sensory reach, as they say “curiosity killed the cat” and this was very much naively done at first. I’m not sure of my interpretation of this is correct. During a meditation I sought to ask my higher-self “What am I prepared to show myself?” in determined repetition and in response I witnessed a fantastic display of blue light pierce straight through my ceiling and come to a stand still next to me. I was completely awestruck—I had to check the dictionary to be sure I was using the correct word here. This is certainly an abrupt way of being woken up… films have embedded the idea that such things are mere works of fiction and so this sort of experience causes psychological crumbling as your tower of cards is unceremoniously knocked down. I was perhaps expecting to discuss the truth and nature of reality over tea and biscuits, but they evidently don’t all go for that. This is what I fear most. Metaphorically speaking squandering away purpose to drugs and hookers. It’s been suggested as vessels for light there really is no outer purpose other than being – which is sort of comforting, but yet I still feel inclined to expose our delusions of choice and democracy for the manipulated controlling sham that it is. Dude! Such a thoughtful response! I get this. And it’s my experience that although we can’t control the outer world, we can very much hold sway over the inner – to the degree we believe we can. Once you know something is a trigger, your highest path is served not by avoiding it but by taking responsibility for how you respond to it in the future. If you were to try working with your self-language and saying to yourself: I see (x trigger). I understand that identification and observation of this trigger is the first step toward relieving its control over me. The second is having a plan in place for my response to encountering it in the future. Role play it a little with yourself. The mind will file your intended response. Over time, with practice, that response will move into proper position and your trigger will be rendered powerless. The length of time you spend on this path, per trigger, will partly be determined by your belief and determination, but triggers are given a great deal of power within us, so be gentle with yourself as you work on it. At the same time as you work on this, you can ask Self to show you how to intentionally reach the powerful love state you speak of. Self will help you. And your ability to reach it will also help you on the path to releasing the trigger’s hold. That’s my take and my own ongoing map. Bless your hard work and attention, which shine through your response. This information totally is spot on. I now understand why I was totally depressed and ungrounded. I was really tired of fake people. So glad to be here. probby not a coincidence just posted a link in my blog to the Ra material at the HubPages website below, then I discover this material here from Bernhard several days later and it’s refresh course! thanks; 65 million? has a nice ring to it. Re-reading this article after almost 3 years… Very nice reading and perfect timing for me..Thanks Bernhard! Thanks Bernhard for writing and providing this information. You truly have a gift of lucid and insightful communication. I have come across your writing at a most significant time as I have recently been experiencing an increase in interactions with “negative companions”. I take great solace that this is part of the natural process of “awakening” as you describe. I wanted to make mention that even though these experiences can be “terror” inducing, that they can be blessings in disguise, as I am now more positively polarized than I have ever been. Very inspiring article for one who has been stuck on this earth for sometime. Congratulations on that momentary outpouring. Whatever struggles the last several years have held for you, rest assured that the material you provided above will work as a lighthouse for some time. And yes, it does get more difficult as years roll by. Just try to remember. Amazing read. Exactly what I needed to read. I not only agree in starseed wanderer reality, but I am one, being well proven in this reality. It does trouble me greatly however about this large volume of high powered positive love energy beings rate of success. In honesty, our world is a failing reality of negative evil and barbaric war machines killing many more people then ever before with modern technology weapons and bombs. Big business has become an absolute monster of business abuses. Governments have become all powerful and all controlled with a mastery of miss-information deceit etc. Being a wanderer, I have an inner insight into these realities which appears to be strongly rejected by the mainstream. Time will be the proof thereof!! The people on planet earth in 2012 where never mostly STS. In fact, most people on the planet have not chosen a path and are of an unstable polarity. If most people on where of STS polarity they would have to be negative 95% of the time. STS polarity is a fourth-density phenomenon. Almost all third density beings have not chosen. Those that have not chosen will not return in this new cycle. This is a gift! Thank you so much!!! verdad,al conocer a mi alma gemela tuvo regresiones espontaneas y me dijo que fui Marilyn una cientifica en la Atlantida y despues Akenaton en Egipto y ella Kira una de las 40 esclavas de Nefertiti,Kira y Akenaton (nosotros) fuimos los padres de Akenaton, fue en una canalizacion de Lee Carrol y Kryon donde el dijo que Akenaton fue un Wanderers que empece a investigar este termino. Thank you for this. So enlightening and empowering. Such a great comfort to read this article, Bernhard. It helps me be me. Thank you for all of it and especially for sharing your own journey so openly and honestly. So glad I wandered in here.